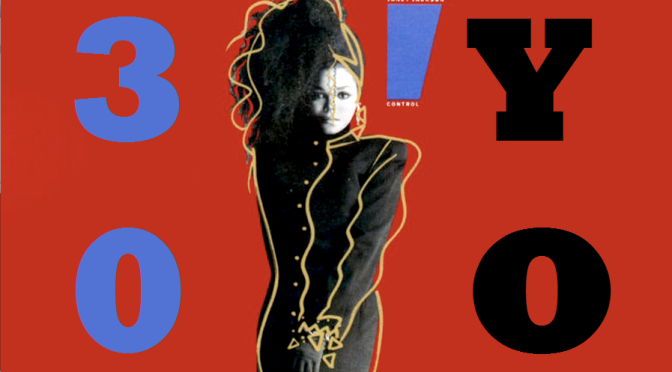 Music Musings: Janet Jackson’s Control– 30 Y.O. Long before Adele or Taylor Swift were household names, All eyes and ears in the pop music world were affixed to the one and only Janet Jackson. Through iconic albums like janet., The Velvet Rope and Rhythm Nation, she broke barriers regarding race, gender, artistic expression, and celebrity involvement in social justice. However to get to the point of icon, Janet first had to make an impact, and enter the mainstage of pop culture. Thirty years ago today, Jackson forged this path with the release of Control. If Beyoncé is “the album that is going to launch a thousand women’s studies papers,” then Janet Jackson’s Control is the album that launched a thousand feminist music careers. Nearly 30 years after its initial release, the groundbreaking album still stands as one of the boldest statements in the history of Black feminist music, and Janet’s storied career remains an often-referenced blueprint for a legion of female performers following in her fearless footsteps. In August 1985, Janet Jackson left the glamour of her show business upbringing and set out for Minneapolis — the home of former Prince protégés Jimmy Jam and Terry Lewis. By this time, 19-year-old Janet had starred in three TV shows, been married to and split from an addiction-plagued James DeBarge, and fired an overbearing Joe Jackson as her manager. She was coming into her own as a woman — and she, Jam and Lewis were determined to chronicle that evolution on her third studio album, Control. Unlike the music of her safe, bubble-gummy debut, Janet Jackson, and its follow-up, Dream Street, Control was largely autobiographical — relaying honest, raw stories born out of real-life events. Though Jackson had recorded two albums before Control (in addition to an already impressive acting career), the collaboration with legendary producers Jimmy Jam and Terry Lewis stood out because it was Janet that co-wrote the songs, and spoke the truth about her life at the time. 30 years on, Control still resonates as the quintessential ‘Janet Jackson’ album. From the sensuous, sultry moans of Funny How Time Flies, irresistible club starters like The Pleasure Principle, the tight vocal harmonies and surprising character voices of Nasty, to the delightful interlude opening and jazz pop fusions of What Have You Done For Me Lately?, all the elements of how we understand Janet Jackson as an artist can be found on Control. And oh yeah… Don’t ever forget those FINGER SNAPS!! Basically, with Control, it was clear that Jackson and her collaborators had found the recipe for success, and we as a music-loving public are all the better for it. And in case this post has you wondering ‘What Has Janet Done For You Lately?’, then you need to check out her new album Unbreakable. If you haven’t bought it yet, go get a copy along with a new copy of Control, and play them back to back. You might be surprised at what you hear. And the Unbreakable World Tour?? Not to be missed!! During this Black History month, what better way to celebrate with a truly impressive milestone. Thank you Janet Jackson for releasing your masterpiece to the world, 30 years ago today.